KIIT-TBI receiving the National award for Best Technology Business Incubator in India for the year 2017 from Dr Harsh Vardhan, Union Minister for Science and Technology, Earth Sciences on 11th May 2018 at Vigyan Bhawan, Delhi on the occasion of National Technology Day. Funding scheme for establishing Proof-of-Concept. 12th Call for Proposals is now open. The SILICE project is an international capacity building project, with 14 universities & institutions from 6 different countries, with the aim to develop Social Innovation in Israeli and Indian Local Communities and in Entrepreneurship Student. 18 Months Fellowship Program with focus on Ageing and Health. Applications for the current call have been closed. The next call will open in early 2019. National Science & Technology Entrepreneurship Development Board, Department of Science & Technology (DST), GOI. Technology Development Board, Department of Science & Technology (DST), GOI. Biotechnology Industry Reasearch Assistance Council. Technology Incubation & Development of Entrepreneurs Scheme, Department of Electronics & Information Technology (DeitY). Ministry of Micro Small & Medium Enterprises, Government of India. It develops molecular devices for ‘on-demand’ delivery of anticancer drugs based on membrane drilling technique that promises to reduce the side effect of chemotherapeutic drugs by at least 10 times. This will improve the quality of life of the cancer patients, advance the global fight against cancer and reduce the public health burden. 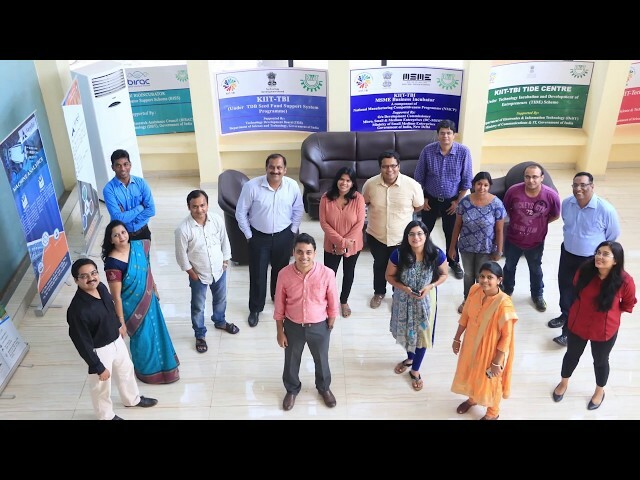 The journey started when they received the Biotechnology Ignition Grant Scheme (BIG) by the Biotechnology Industry Research Assistance Council (BIRAC) to bring the idea to proof-of-concept. Dr. Nusrat JN Sanghamitra, founder of CyCa Oncosolutions Pvt Ltd also got selected for Accelerator program at RebelBio and SOSV Ireland where she received a 100000 USD investment fund to develop molecular devices for ‘on-demand’ drug delivery and labeling living cells. It’s the first DNA based Clinic and a molecular platform innovated to offer customized solutions for identification of DNA based changes and its impact on the health and disease outcome. inDNA Life Sciences has taken the first steps to Personalize Disease management by offering a range of DNA based solutions to a range of clinical problems such as from Prenatal Diagnostics to Cancer, Ageing and Life Style Disorders. It was represented as India’s leading molecular diagnostics startup by DBT – BIRAC delegation team at BIO-2014, San Diego, USA in June 2014. Currently the company has started its London Operations in collaboration with Welcome Trust Sanger Institute and is raising 2 Million Pounds investment to expand and upscale. Specialises in manufacturing a wide range of next generation LED products for lighting, environmental safety, electrical & electronics industries, food and chemical process industries and many more segments. They are committed to provide cost effective & efficient technologies to the clients. Established in 2010, the company has set out to make Odisha an electronics hub of India. And have managed to make the firm one of the leading manufacturers of LED lighting systems in eastern India with an array of industrial clients like NALCO and OPTCL. Has developed a wheelchair, AEGLE™, a series motorized mobility aid which is engineered with advanced lean manufacturing techniques to suit the needs of the disabled. It has advanced features like cell-phone integration, long battery back-up, light weight, reclining back rest to provide the best ergonomic design. Recently they were awarded Innovative Young Entrepreneur Award by OTV (2016) in the SME category. It is currently working on bridging the gap of healthcare access in India by developing innovative telemedicine solutions such as their FYVE-S1 networked 1CU patient monitoring system. Chayan Chatterjee, BIG innovator at KIIT-TBI and CEO of Lattice Innovation was recently awarded for being one of the top 5 start-ups at BioAsia 2017: Disruptive Healthcare Challenge. Is working on revolutionising agriculture sector by speeding up gene transformation technology. The novel technique developed would significantly reduce the time required to develop transgenic crops. They have so far raised funding from BIRAC and private investors and are close to commercialisation. Is focused on developing fortified food products for addition to the Government of Odisha’s Mid-day meals program. One of its products’ is made from local millet – Mandiya. It aims to contribute towards eradication of malnutrition alongside creating a value chain proposition for the local farmers by creating a contractual supply chain model for guaranteed crop income. One of our sister Institutions – Kalinga Institute of Social Sciences (KISS), home to approx. 25,000 tribal children – has been testing the product during their lunch program, securing an order to serve 25,000 customers in its first year. The company offers enterprise grade solution for shortening of URLs, branding a domain & gathering statistics. It enables companies by helping them build their brand through branded short domain, short URLs and detail statistics and analyse their traffic data. It has secured the contract from Govt. of Andhra Pradesh to implement digital marketing strategies. One of the founders, Mr. Nrupal Das was awarded Innovative Young Entrepreneur Award by OTV (2015) and was invited as one of the IT entrepreneurs at CeBIT Hannover, Germany. The company behind hugely popular Mobile Workforce Management Platform – FarEye has seen a 20-fold growth in the last 9 months and currently handles 5+ million transactions worldwide. Their solution increases companies’ productivity and reduces cost by enabling efficient field workforce management and transparency in field operations across industry verticals and geographies. The company works with businesses across various sectors and has established itself as a leader in the logistics ecommerce industry by securing clients such as Walmart India, DTDC, Blue Dart, Safe Express, Bajaj Capital, Hitachi etc. Having raised ₹ 2.0 crore from Indian Angel Network (IAN) in 2014 they have recently raised funding of $ 3.5 million (around ₹ 20.0 crore) in Series A funding from SAIF Partners. Manufactures bio-fertilizers, bio-pesticides and plant growth hormones of agricultural importance, formulated according to the needs of various agro-climatic zones. The company has since established itself as one of the leading agri-biotech manufacturing companies in Central India with multi-crore turnover. Dr. Dipak Kumar Sahu, MD, was awarded Best Incubatee Award at Fourth ISBA Innovation & Entrepreneurship Awards, 2012.